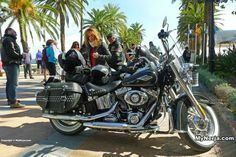 El Noche de San Juan in Nerja takes place on the night of June 23rd each year, and continues until the morning of the 24th. The summer solstice has been the focus for festivals for thousands of years and it is no coincidence that Christianity chose to celebrate the birth of Saint John the Baptist at a time of year that was already important to pagans. 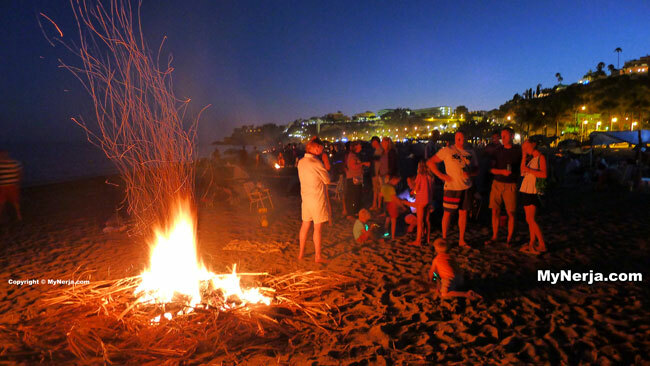 The festival of San Juan marks the beginning of summer and in Nerja the tradition is to camp on the beaches overnight with friends and family. At midnight effigies are lit, and bonfires leapt over, and those with sins to cleanse, or who just want to join in the fun, take a dip in the sea. 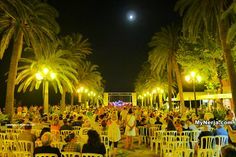 A Nerja festival is not complete without wine and music, so don’t expect much sleep if you are staying all night, but do expect to enjoy a great party. The official bonfire, with fireworks and live music, takes place on Burriana Beach (see map below) at midnight. At Burriana beach the entertainment starts at 10pm with a “verbena popular” (dancing). At midnight the bonfire will be lit and the fireworks set off. People can camp at the various beaches in the town from midday of the 23rd to the following night. 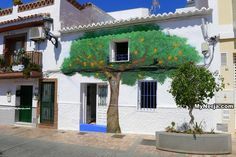 Nerja’s department for popular traditions has also asked people to respect the rules in place for the fiesta. Principal amongst these are that people are not allowed to connect up electrical equipment to the public electricity supply or use their own generators. Discos and PA systems are also prohibited along with non-beach furniture, although people can have amplified music from normal portable stereos. Barbecues are allowed on the beach, but the wood used must not contain nails, staples, screws or other sharp objects that will be a hazard to beach users in the following days. Toxic products can not be used as fuel for the barbecues. Vehicles can only be parked in the official parking areas and must not be parked on the beach itself. Music is prohibited between 4am and 10am of the night of San Juan itself (the 24th). Users can not mark off their own spaces on the beach with fences and banners etc. No rubbish is to be left on the beach after the event, including furniture and other items. For safety reasons it is recommended to keep a distance of at least 2m between fires and tents, umbrellas etc. 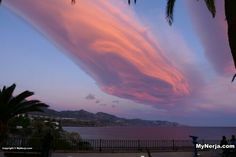 Click here for the San Juan photo gallery. 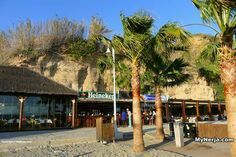 OLAS BAR Nerja, June 23rd party night, OLAS BOSS SOUND SYSTEM, coming from the UK to play original vinyl reggae/ska/rocksteady all night long. 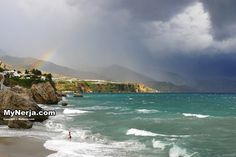 Looking forward to seeing everyone in Nerja.